The airport road brings you to town. The town starts at the community tank farm, where all the oil and gas is stored for the year after being brought in by sea. Much heating oil is needed for the cold winters here. The nearby above ground burial sites in the graveyard tell the story of the people who lived here. Three churches tell the story of the early missionaries, who had a profound effect on the Inuit of the day. 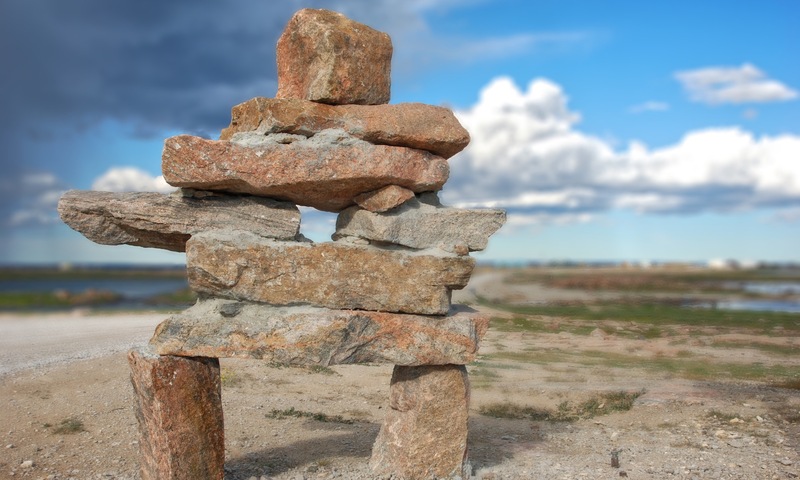 A walk through the residential area emphasizes the traditional way of life, with skins hanging, fish and caribou drying, or stones waiting to be carved. The nearby harbour provides a view of the hunters returning with their catches, beluga whales, seals, and even walrus. The general stores, the Northern and the Coop, give a more modern look. There is also the Health Center and many government services, the school, the RCM Police and more.